Install a water-efficient shower head, or ask your landlord to install one if you rent. Fix those Leaks! American homeowners can waste more than 10,000 gallons of water every year because of drippy faucets, running toilets, and other common household leaks. The amount of water leaked from US homes could exceed more than 1 trillion gallons of water a year and in most cases, you can fix a leak yourself. Turn off the tap while brushing your teeth or shaving and you will save over 5 gallons of water per minute. Forget the garbage disposal and the water you need to rinse it down the drain and put your food waste in the compost bin instead. Check out these 5 Simple Steps to Compost Mania to get started. Put a pitcher of water in the fridge instead of running the tap until the water is cold and then use a stainless steel water bottle when you are out and about. You can save up to 20 gallons per load by simply scraping the dishes instead of rinsing your them before they go into the dishwasher. In addition, make sure that for dishwasher is fully loaded before you run it. Instead of hosing off driveways, steps and sidewalks, try sweeping instead. If you are a pool owner, be sure to keep it covered when not in use and you will help save water due to evaporation. 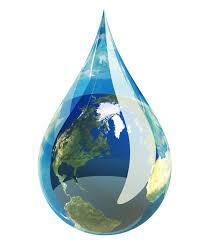 Ten minutes spent washing a car or watering your plants with a hose can waste over 50 gallons of water. Instead use a watering can and wash your car from a bucket or use a car wash that uses recycled water. If you have kids, get them on the water saving bandwagon! Check out this site at the Environmental Protection Agency (EPA) created just for kids and teachers.